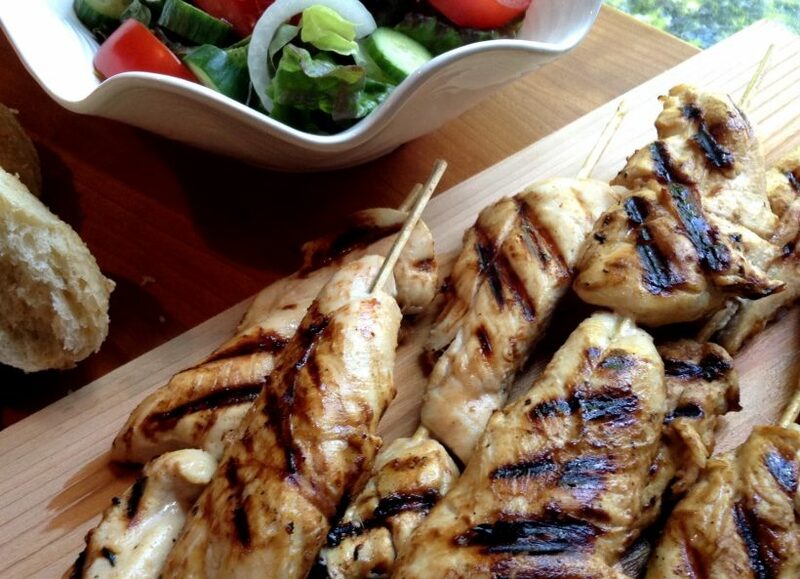 Chicken skewers are glazed with our sweet and tangy Signature Honey Mustard before being grilled to perfection. Soak the skewers in water and preheat the grill to medium. In a small bowl, whisk together the mustard, juice, vinegar, salt and pepper. Divide it in half between two bowls. Thread the chicken tenders onto the skewers. Coat the chicken with half of the mustard sauce. Grease the grates of the grill with the oil or cooking spray. Place the tenders onto the grill and cook until well-marked, about 3 minutes. Turn and continue to grill until cooked through, about 3 minutes more. Brush the cooked chicken with the remaining mustard sauce. Transfer to a platter for serving. For a complete meal, add a garden salad and a crusty loaf of bread.